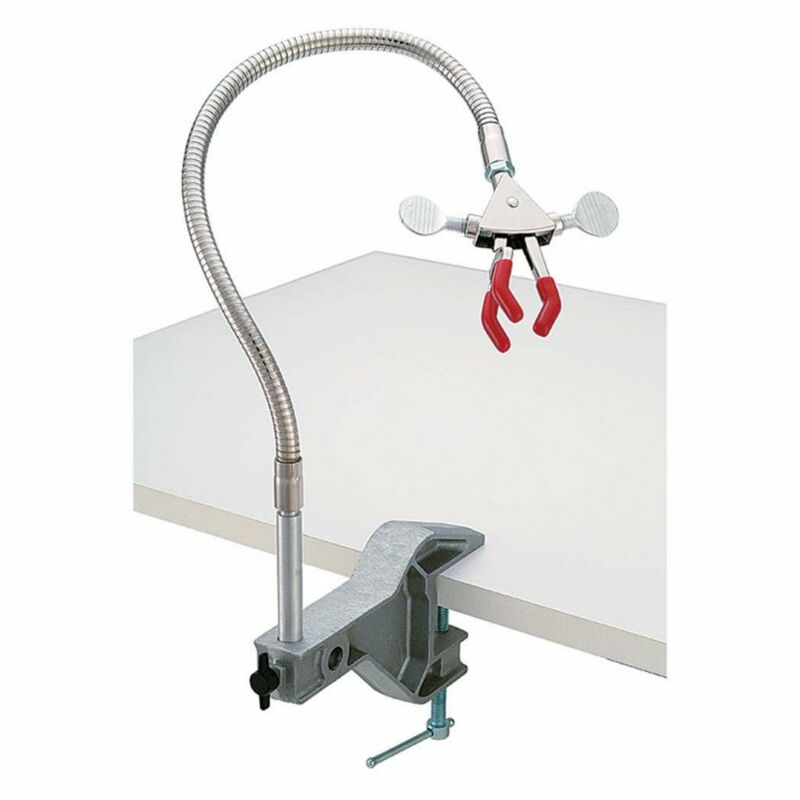 Ultra Flex Support Systems have unique flexible arms that are extremely versatile and can be placed in virtually any position or angle. Ultra Flex comes in three different systems; base plate, lab-frame connector; and bench clamp. 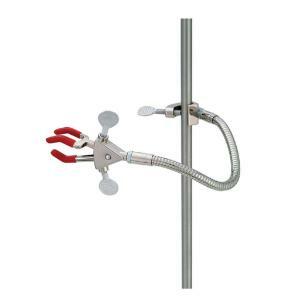 Each system includes a 2-Prong Clamp Head, 3-Prong Clamp Head, Spring Clamp Head, nickel-plated flex arm in 305 mm (12") or 457 mm (18") length, and utility wrench. 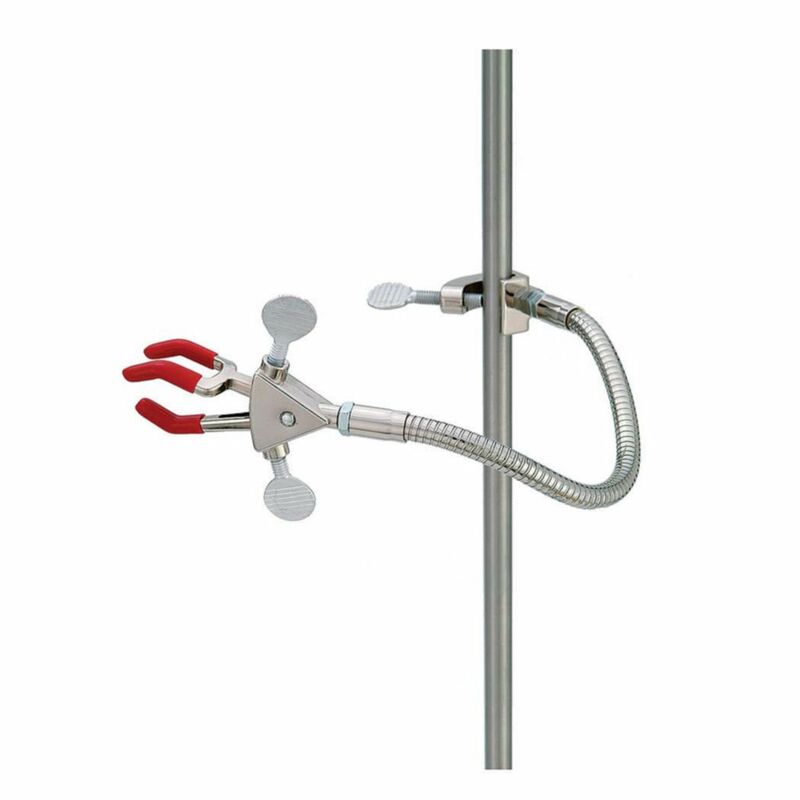 2-prong and 3-prong clamp heads also supplied with non-slip vinyl sleeves and, for temperatures above 100 °C, fiberglass covers. The Base Plate is constructed of all metal and designed with a stable, painted steel base plate with chemical resistant black finish that fits easily on bench tops or in fume hoods. Base Plate measures 127 x 127 x 12.7 mm (5 x 5 x 0.5"). The Lab-Frame Connector securely attaches to support stands, lab-frames; or any support rod up to 19 mm (0.75") diameter. 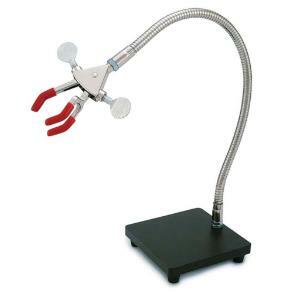 The Bench Clamp easily attaches to the side of your lab bench or counter top, which help utilize more space in your lab. Bench clamp is constructed of aluminum.